It may be the holy grail of fitness – right up there with how to get hawt six-pack abzz. A better physique means less fat and more muscle; the most logical way to do this is to convert your fat to muscle, right? Can you gain muscle and lose fat, simultaneously? But conventional wisdom is usually dis-proven in time. I wanted to know for certain. I wanted science. I wanted a conclusive answer both for you guys and for my own knowledge. I began digging… I started at my usual stops, the guys who write well thought-out articles supported by controlled studies. No luck, so I dug deeper. Forget the abstract, I’m reading the whole damn study. I’m reading it four times. I’m reading related studies. I’m “right click – new tab” opening every promising link I see until my Google Chrome has 37 tabs and my face is buried in the bottom of the rabbit hole. Then I shut my laptop and go to bed. Rinse and repeat a week later. I’ve done this five times. Note: This quote is spun one way or another in EVERY article on the subject. However, I never found any science referenced. So, either the biology/physiology of how the human body partitions energy for various functions – primarily muscle growth or fat loss – is glaringly obvious (and I’m an idiot) OR there is some mega groupthink going on, big surprise. While I’m thrilled for your client, it doesn’t prove that muscle gain and fat loss are occurring at the same time. Generally, these are fat loss programs, so the client is eating a caloric deficit on most days. However, there are refeeds and cheat days, allowing the client to maximize muscle growth (generally on a training day) by eating at a caloric surplus.. So, under the logic of point #1, they had anabolic and catabolic days..
THEN, I thought… why is a “day” relevant? Can’t there be anabolic and catabolic periods within the same day? What if you consume a majority of your daily calories immediately after your workout (anabolic for part of the day) – and go catabolic for the remai…. BUT, THEN it really hit me… Who Gives A $%^#? SERIOUSLY. How is this relevant? Why does it matter if you can or cannot add muscle and lose fat in the same micro-second. It is useless information in a practical sense. I have wasted hours of my life paining for an answer that’s applicability is negligible. The question itself is mental masturbation. Ok, pal. You won’t bulk because you might gain some fat. You won’t cut because you might lose some muscle. So, what do you choose to do? Whine about your current physique while searching internet forums for a magic unicorn? C’mon bro. I’m not going to beat either of these topics to death because I covered them here. 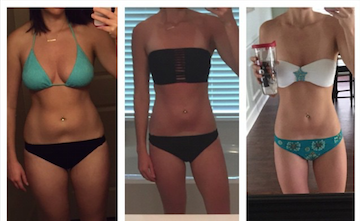 Instead, I want to give you a cool example of a successful bulk/cut before we address your third choice. Chris Hemsworth had work to do in preparation for the movie Thor (2011). 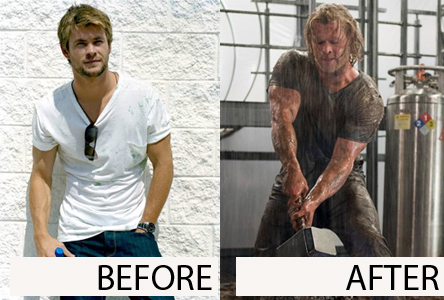 Hemsworth needed to be bigger but still lean, so he took a pill three times per day to achieve this. Wait, what? No – he completed a 16 week program – 12 weeks of bulking and four weeks of cutting to prepare for the role. Disclosure: I don’t know exactly when these photos were taken, nor do I know if Hemsworth completed this feat naturally (without the assistance of steroids or pro hormones). I don’t want to mislead you guys or provide unrealistic expectations. I do know that Hemsworth trained hard and ate like a horse for 12 weeks before reducing calories for the final 4 weeks of training. Did he gain some fat during the bulk stage – yeah probably. Did he lose a bit of muscle during those last four weeks? Sure, maybe he did. But look at what he accomplished in less than four months. Understand that there is no easy way – there is no quick fix. Life isn’t a video game. up-up-down-down-left-right-left-right-b-a-start doesn’t get you jacked. It takes a plan, and it takes work. I’ll be brief – many bodybuilders are fat 75% of the year. They bulk hard during the off-season and cut for shows. While this is a very effective way to build a physique, it is not ideal for everyone. Models, Hollywood types and your vain-summer-beachbro can’t be carrying a gut around all the time. So, choice #3 may be the best option. Recomping or recomp, is a method to slowly add muscle while losing fat. Due to the vastness of the subject and number of recomp variations, it would be unfair not to give it some solo spotlight. Keep your eyes pealed for part II this weekend. Why you gotta tease your audience? p90x would be somewhat an example right? Its like cardio and lifting at the same time. What is your opinion on that program and similar programs compared to driving to the gym everyday? Erik, I have done p90x and am a big fan of T-hort as a person. I actually have a p90x review article not too far out, so hang tight for that. I guess briefly, I am pro-p90x because while it is less optimal than the work you could do in a gym (for most people), ANY program will work. Pushups+pull ups+caloric surplus WILL build muscle. Zumba, stripper cardio classes, walking around the block, insanity, etc etc etc +caloric deficit WILL lose fat. To address the first part of your question, we need to remember the law of thermodynamics: (calories in) - (calories out) = weight gain/loss If we agree that a caloric surplus (generally) needs to exist to grow muscle, and a caloric deficit (generally) needs to exist to lose fat, the presence of cardio+strength training (p90x) doesn't cause fat burn + muscle gain. Imagine this: Your caloric maintenance is 2500 calories. You do all 24 of the p90x chest/back work sets at your own pace. For the sake of simplicity, we'll say that your slow pace removes all cardio that you would normally get from the workout. This cardio would have burnt 300 calories. This cardio is simply a component of "calories out". 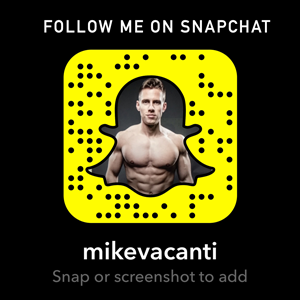 If you eat 3000 calories and do chest/back at your own pace, you have a 500 cal surplus (3000-2500). Whereas, if you eat 3000 cals and do chest/back so you get that cardio burn, you have a 200 cal surplus (3000-2800) and are still allowing your body to gain muscle. Hope this makes sense.